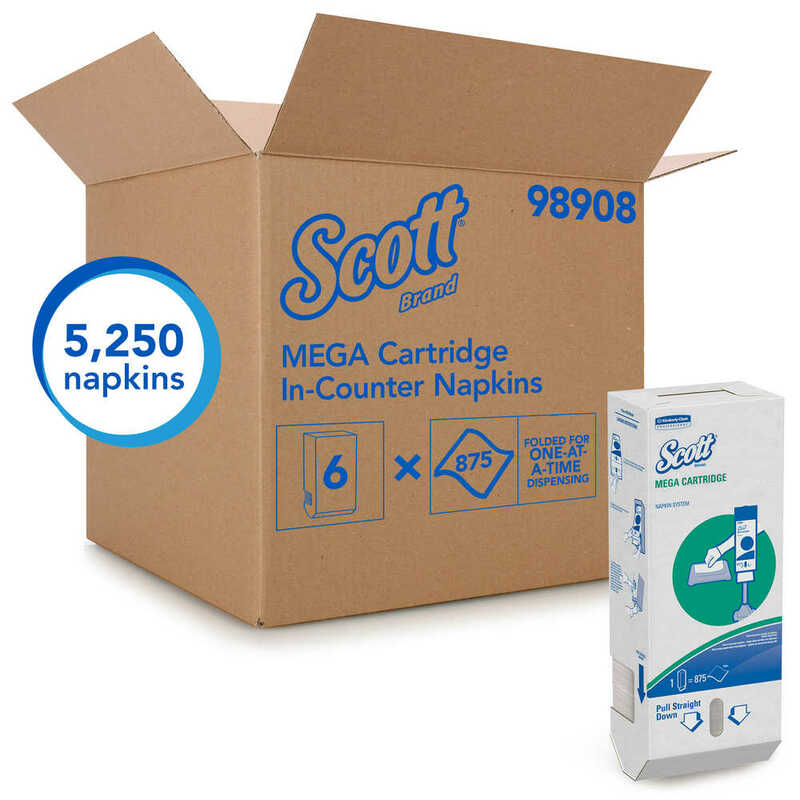 If you’re responsible for a busy restaurant or quick-service eatery, the Scott Mega Cartridge Napkin Box is a simple way to offer reliable paper napkins to your guests. 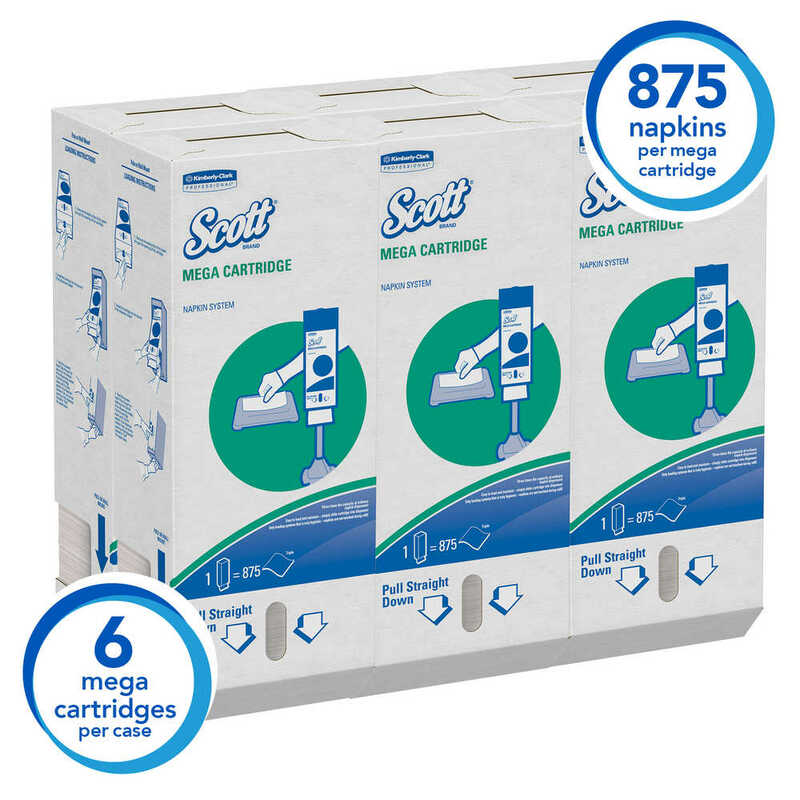 Each box contains 875 disposable napkins, pre-loaded into the box, cleverly folded for one-at-a-time dispensing. 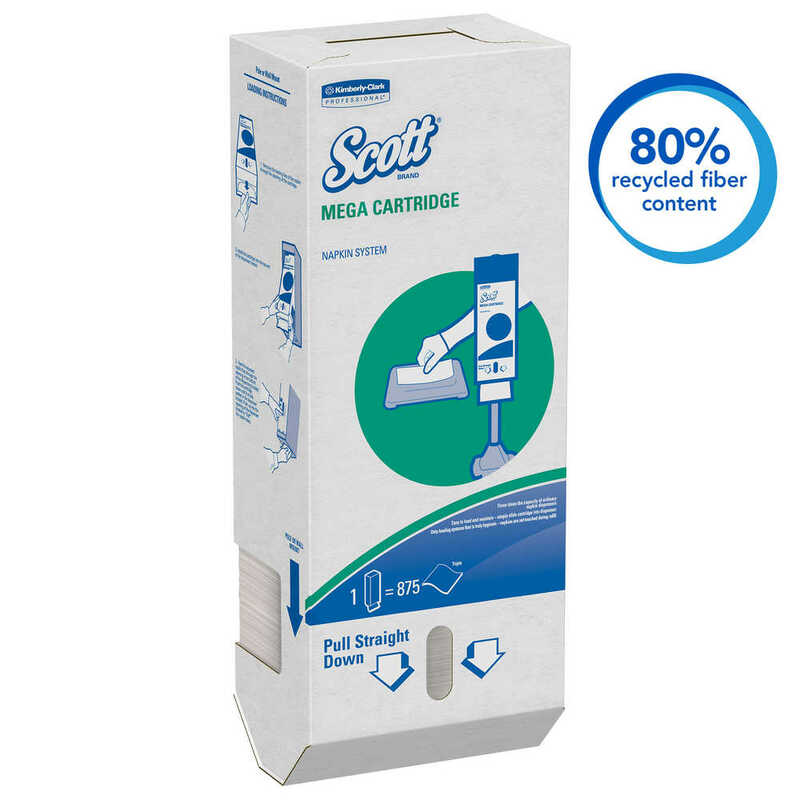 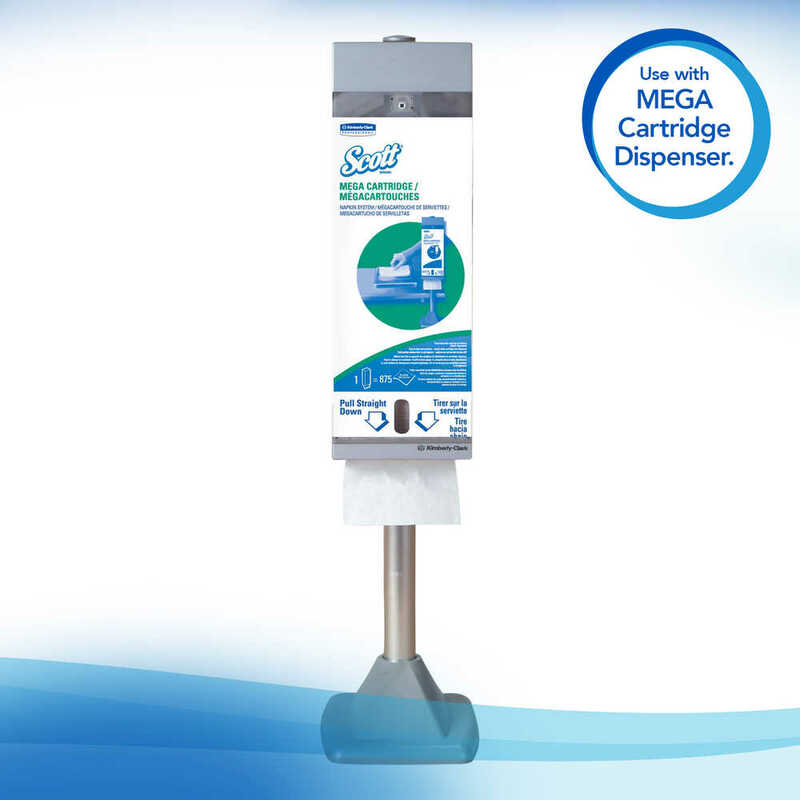 They are designed to work with several Scott Cartridge Napkin System Dispensers – from counter-mounted dispensers to pole-mounted dispensers – so you can choose what works best for your business. 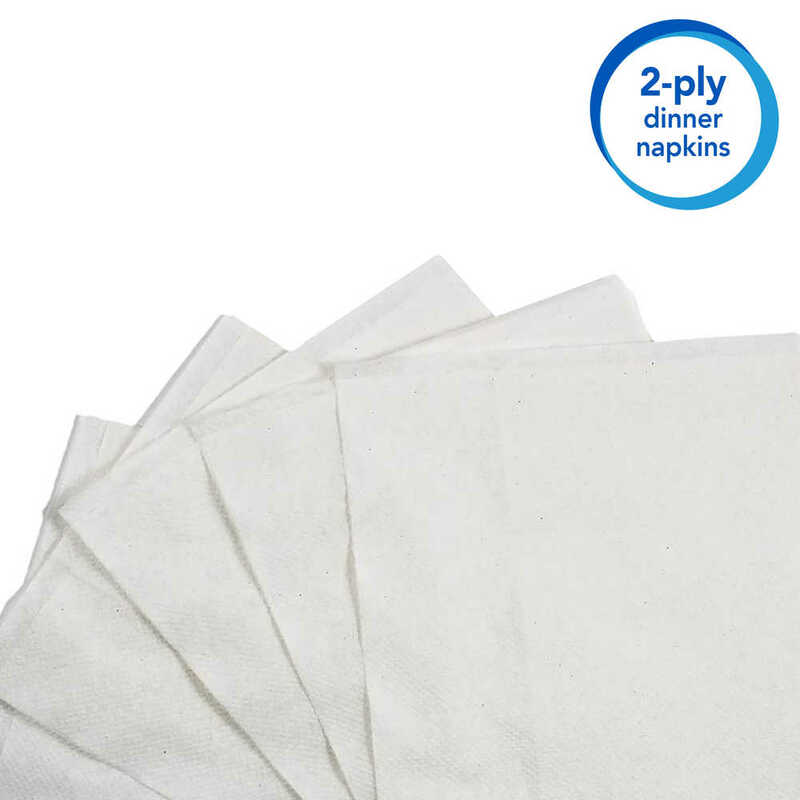 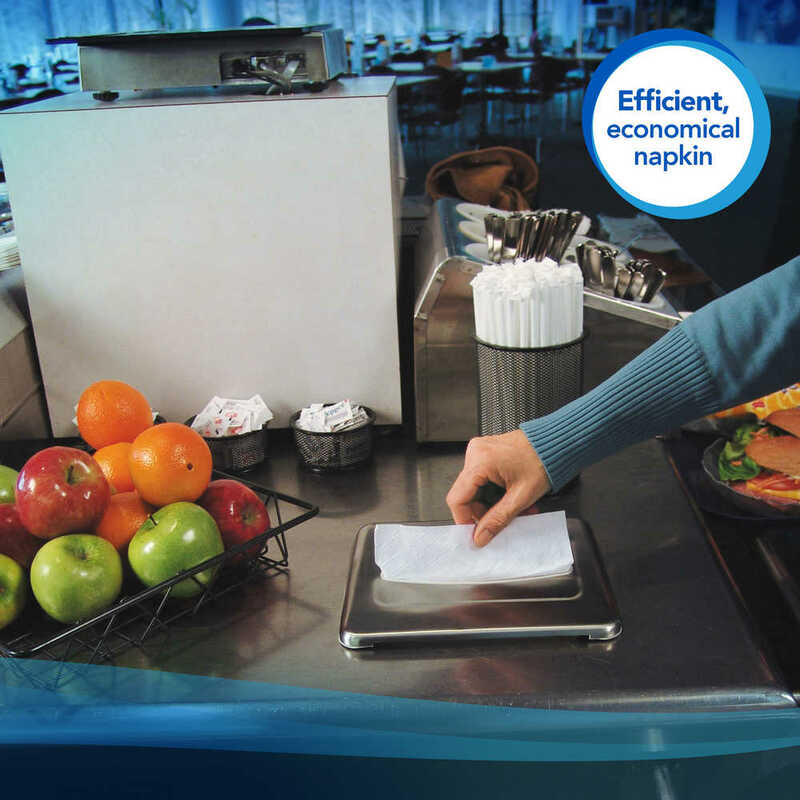 These Scott paper napkins (sometimes called beverage napkins) are a great addition to food service environments.